Are your kids dressing up for Halloween this year? Of course they are! 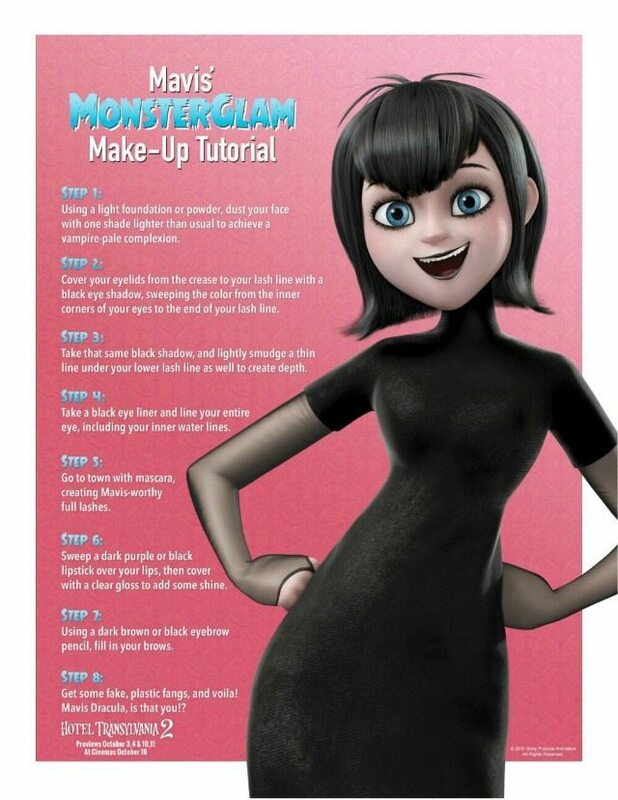 And if they want to look like Mavis from Hotel Transylvania they are just going to love this simple step by step Monster Glam Make up tutorial as they will look just like her! Are you ready! Let’s transform your little ones into Mavis, just follow these easy steps! Step 1. 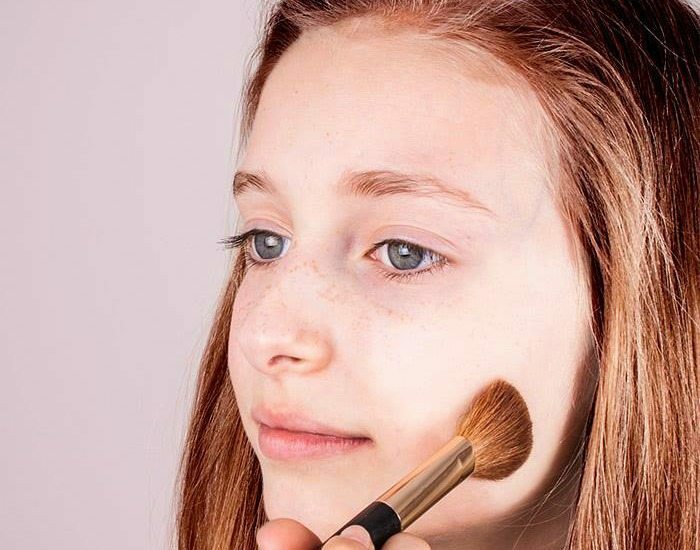 To get that pale vampire look apply powder or light foundation on your face, using one shade lighter than usual. Looking quite spooky already aren’t we? Step 2. Use the black eye shadow and cover your eyelids from the crease to lash line. Then sweep the colour from the inner corner of your eyes to the end of your lash line. Step 3. To create some depth, take the black eye shadow and lightly smudge a thin line under your lower lash line. Step 4. Line your entire eyes, including your inner water lines, with a black eye liner. Step 5. To create Mavis worthy full lashes, apply a generous coat of mascara. To make them even thicker you can apply more than one coat. Step 6. Use a black or dark purple lipstick on your lips. To add some shine cover them with a clear gloss. Step 7. Fill in your brows with a brown or dark black eyebrow pencil. Step 8. Now just grab some fake fangs and voila! Mavis Dracula, is that you? You look fang-tastic! Pin this make up tutorial so you will be able to check all the steps when you will need your Mavis Halloween look! Also check our Halloween Pinterest board more fun Halloween ideas! Follow Helen Neale – KiddyCharts’s board Love Halloween with kids on Pinterest.